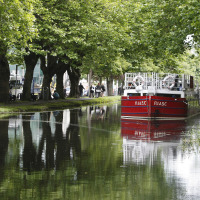 Tourists can expect to pay around 120 euro a day in Dublin, according to a new travel guide. The Irish capital is more expensive than Tokyo, Berlin and Madrid, according to publisher Lonely Planet. However, it is cheaper than cities such as Edinburgh, Amsterdam or Beirut. A new money-saving guide is set to help travellers get the most out of their money while on holiday. Called The Best Things In Life Are Free, the book works out the cost of an average day to include one night in mid-range accommodation, three reasonably priced meals, entry to one cultural attraction, one day's travel as well as one pint of beer or glass of wine. The guide devotes four pages to Dublin and says the Irish capital "is a charismatic and occasionally confounding city, where high culture and light-hearted craic go hand-in-hand, and history is literally etched into every corner." It adds "Locals are generous of spirit and garrulous by nature" but warns that "in the legendary public houses the iconic black stout runs freely ... but rarely cheaply." Recommended free or "almost free" attractions include the capital's museums and galleries, Trinity College Dublin and the old Houses of Parliament on College Green. The guide also suggests cycling and walking around the city as well as taking a dip in the legendary Forty Foot swimming hole at Sandycove. Other highlights in the city are "meeting locals, inhaling history and imbibing black beer", the guide tells readers. Glasnevin Cemetery and Phoenix Park (with its zoo) are also mentioned. The only other attraction in Ireland to make the guide is the Poulnabrone Dolmen "on the breathtakingly bleak Burren on Ireland's western flank" in Co Clare. Travellers can also potentially save themselves hundreds of pounds by taking out trusted travel insurance. This can guard against some of the worst things that can happen on holiday. These include lost passports and other travel documents, mislaid luggage and stolen belongings, including sunglasses, devices and clothes. Health policies can also be taken out to guarantee round-the-clock emergency medical help.